Rosalinda Guillen (she/hers) is a widely recognized farm worker and rural justice leader. The oldest of eight, she was born in Texas and spent her first decade in Coahuila, Mexico. Her family emigrated to LaConner, Washington in 1960 and she began working as a farmworker in the fields in Skagit County at the age of ten. Ms. Guillen has worked within the labor movement with Caesar Chavez’s United Farm Workers of America and has represented farmworkers in ongoing dialogues of immigration issues, labor rights, trade agreements, and strengthening the food sovereignty movement. She works to build a broader base of support for rural communities and sustainable agriculture policies that ensure equity and healthy communities for farmworkers. Edgar Franks (he/his) is a C2C organizer who has strong farm worker roots in Skagit County where he grew up. Edgar honed his organizing skills supporting the formation of the first independent farmworker union in WA State since 1986, Familias Unidas por la Justicia. As an organizer, he works in Whatcom and Skagit Counties and travels to Eastern WA to meet with farmworkers as needed, to support their organizing efforts working with union organizers of FUJ. Additionally, he serves as the Civic Engagement Program Coordinator at C2C, working to engage allies to develop strategies that ensure the voices of farmworkers are represented at all levels. Edgar works with C2C leadership and allies in the development and implementation of the Just Transition framework that centers food sovereignty in innovative models of participatory democracy, such as People's Movement Assemblies and Tribunals. Brenda Bentley (she/hers) was born in Los Angeles, CA and raised by the matriarchy: mother, grandmother, and aunties. She was inducted into the ethos of civil disobedience and the DIY attitude through her involvement in the 70's punk movement. Brenda spends her life using her creativity in various ways. For 23 years living abroad, she worked in set design and wardrobe in film and music, creating altars and transforming spaces while living in community with the Aboriginal community of Australia, the Maori community of New Zealand, and the Romany culture of the Czech Republic. Through these experiences, she learned about the violent impact of colonialism on indigenous cultures. 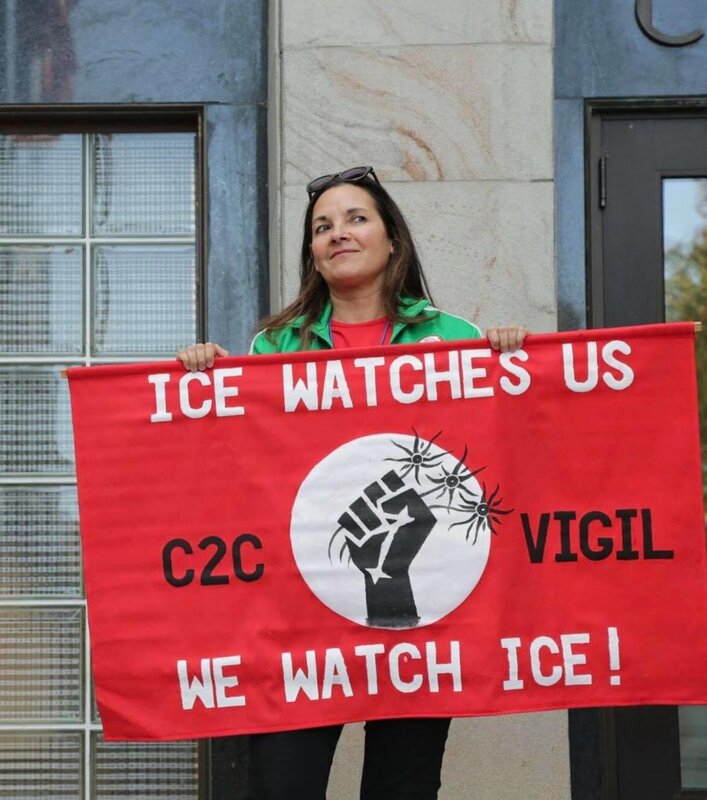 Overseeing the Artivism at C2C, as well as coordinating the Dignity Vigils and our direct actions, Brenda dedicates herself to making sure art and culture are visible and celebrated in immigrant- and farmworker-led movements. Lucy Lopez (she/hers) is a bilingual, born and raised Chicana and woman of color from Skagit County. Her roots are in Michoacán, Mexico. She is a proud daughter of hard-working parents who migrated in the 1980's in search of the "American Dream." She is a strong advocate for human and farmworker rights. Not afraid to speak her mind, Lucy is the Promotora Coordinator at C2C, where she fights alongside the C2C Leadership Team and others to bring awareness of farmworkers’ living and working conditions. She supports her community by promoting justice and equity. Maureen Darras (she/hers) grew up in Queens, NY where she was raised in a diverse immigrant community. She’s grateful to have found a multicultural, multiracial political home at C2C. She began learning about agroecology in Chile, where she lived and farmed for years with her family and huasos in the Patagonia. She now works with C2C as a co-developer of farmworker-owned worker cooperatives, towards our vision of establishing a local solidarity economy. She coordinates C2C’s agroecology garden where we teach and grow food while supporting food sovereignty for farmworkers and low-income residents of Bellingham. She participates in many of our national and international networks through agroecological exchanges. Liz Darrow (she/hers) is from Eastern Washington. She is a media consultant and video editor in Bellingham, WA. She works with Community to Community Development on communications and legislative advocacy. She also works with C2C’s sister organization, Raid Relief to Reunite Families. Liz graduated from Fairhaven College with a degree in film, politics, and theater. She is the communications director for the Cascadia International Women's Film Festival and has screened her work in the Sidewalk Film Festival in Birmingham, Alabama, the Bellingham Human Rights Film Festival, and the Food Film Festival in New York City. Liz is passionate about farmworker rights and moving toward an equitable food system. Liz’s family is central to who she is as a person, and she’s been proud to watch her two children grow up as active participants in multicultural movement spaces.